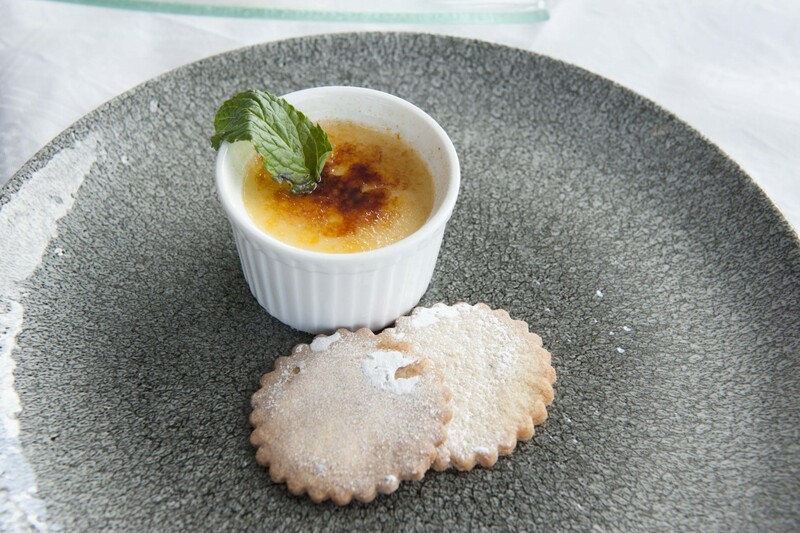 Serving exquisite, varied and locally sourced menus throughout the week. 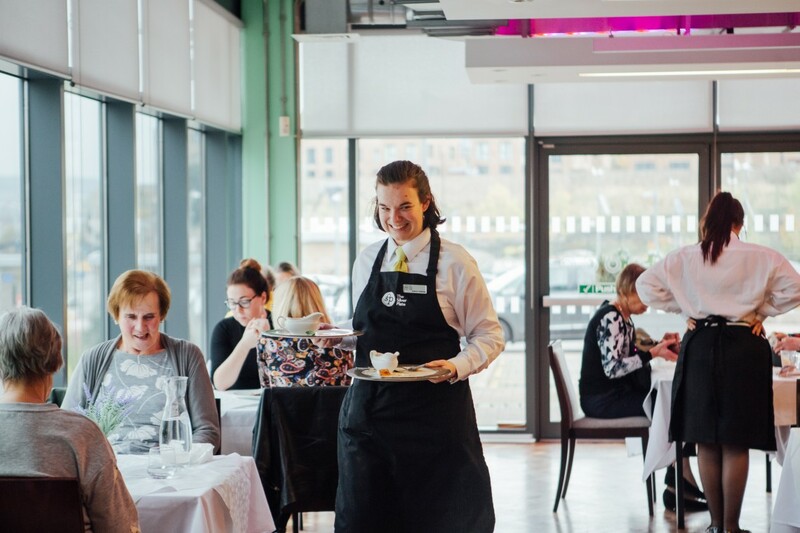 Nestled within our City Campus overlooking the Sheffield skyline, The Sheffield College has a little culinary secret we would like to share with you – The Silver Plate Restaurant. Run by our fantastic Catering and Hospitality students under the supervision of our expert staff (three of whom are Master Chefs of Great Britain), the department has recently been awarded a much coveted Hospitality Guild gold accreditation, with Patisserie and Food & Beverage Service also being recognised as Centres for Excellence. 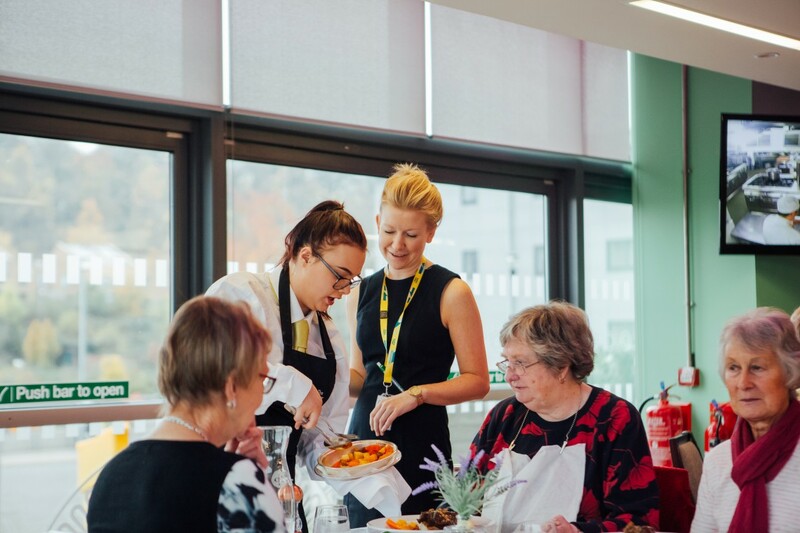 In addition, The Silver Plate Restaurant has been awarded the prestigious AA College Rosette Highly Commended award – one of only 16 colleges nationally to hold such an accolade. 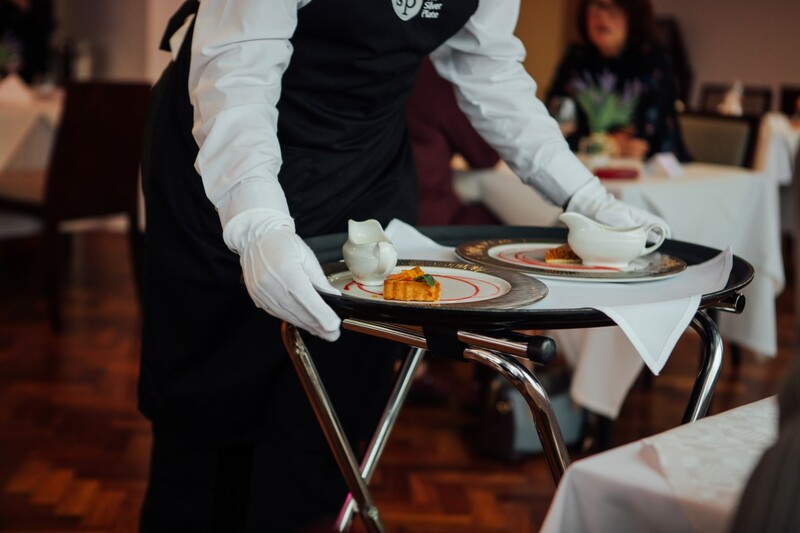 Serving exquisite, varied, and locally sourced food throughout the week, the award winning Silver Plate Restaurant allows students to showcase their talent as we host tasting menus, lunch and evening meals, and our sought after themed nights to the public. The Silver Plate has links with a range of top industry chefs, including Rupert Rowley (Head Chef of Michelin starred restaurant Fischer’s at Baslow) and Tom Lawson of double AA Rosette restaurant, Rafters. These chefs regularly provide our students with guest lectures and support them to provide our customers with the highest quality food and service. It's not just our teaching staff who are outstanding in their field! In 2017 three students were awarded UK Young Restaurant Team of the Year for their incredible hard work producing and serving a three-course, Italian inspired menu. Our lunch and dinner menus are based on seasonal, fresh produce and change regularly, so you're always in store for something delicious and new. 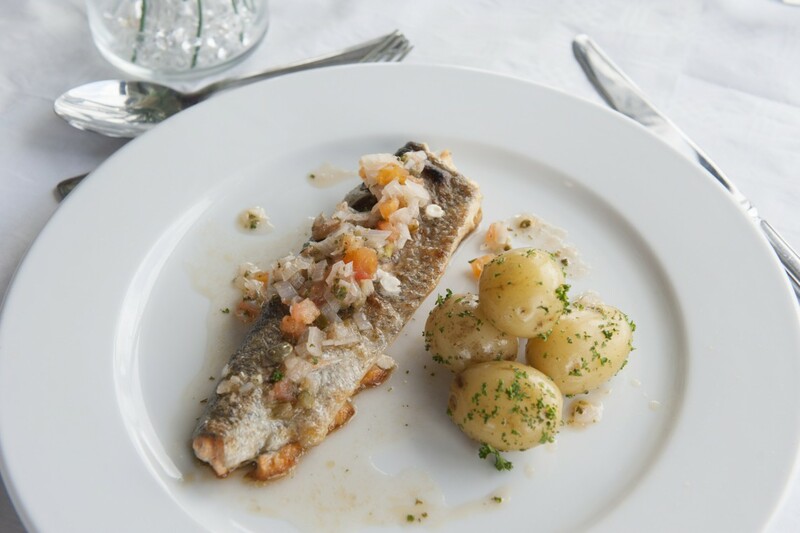 Please note: we must be informed of vegetarians, pescetarians and other special dietary requirements when making a reservation as the menu is set in advance. Failure to do so will result in not guarantee that your requirements will be catered for. 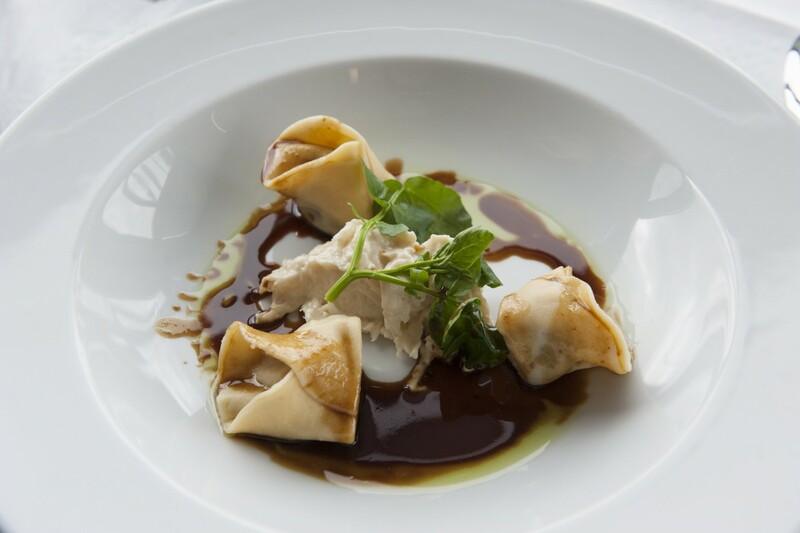 Sample our fabulous gourmet tasting menu for just £22.50 per person, or for an additional £10 per head you can accompany your meal with a flight of specially selected wine to compliment and enhance each course (100ml measures of red/white wine and a 50ml measure of dessert wine). An Easter themed masterclass in chocolate from our lecturer, Len Unwin, and chocolate tasters from MSK. A chance to taste 10 different gins from around the world, along with paired canapes. *Please note this event is fully booked - if you would like to be added to the waiting list please get in touch. A magical afternoon tea with treats themed around Alice's adventure into wonderland, think "eat me" cakes and jam tarts! A masterclass in cocktails with a Hawaiin twist! Plus a chance to test your cocktail knowledge whilst you sample some accompanying canapes. The Silver Plate is open Tuesday - Friday during term time (please click here for term dates). Tuesday - Friday: first seating at 12:00, and thereafter at 15 minute staggered intervals. Thursdays: 6pm arrival for 6:30pm service. We wouldn’t want you to miss out on some of the finest food in Sheffield, so please book in advance to avoid disappointment. Deposits are non-refundable and we reserve the right to charge in full for any guest who does not arrive. If you have any type of food allergy or a special dietary requirements, please inform staff at the time of booking. Did you know you can hire The Silver Plate for your event?